The end-loaded triple wall barrel of this 2016 Juggy OG provides a strong, lightweight hitting zone with a springboard surface. The TR3 F.L.O. composite handle is going to increase flex, redirect contact energy back into the barrel for trampoline effect that will further increase your hitting distances, and also eliminate sting/vibration that is felt in the hands. Get your Juggy OG today, right here at CheapBats.com! No Hassle Returns, Batisfaction Guaranteed! Pros: This bat is awesome! I buy the Juggy every year and it seems to get better and better. Great handle flex, no sting, great performing barrel with nice pop, and the perfect end-load swing weight. Pros: I love this bat it's hot right out of the wrapper! My whole team uses it now! Pros: the bat feels great, does not feel stiff as other DeMarini bats do. i usually swing Easton but could not go wrong with this at all. Was hot right out of wrapper. Cons: The Grip. I do not like any grip the slow pitch bats seem to come with nowadays. Threw a quick roll of LizardSkin to fix my problem. Thank You, i'll be back. 14 of 21 found this review helpful. Pros: I have the 2015 Juggy and now the 2016 Juggy. I love both. The 2016 feels stiff and was hot out of the wrapper. Pros: This bat is straight fire! I'm not a big guy or a power hitter. When I got to the field, I unwrapped the bat and went on to hit 2 homeruns 300ft+. Everyone on my team was shocked just as me. Buy this bat. The 26oz feels perfect. Pros: Feels great, no sting or vibration whatsoever. Took about 75 swings to open up, but when it did the ball really jumped off the bat. I think the phrase "hot out of the wrapper" is overused now, but this one sure comes close. Pros: My husband picked out this bat for Christmas to use during his summer softball league. He said it's perfect and exactly what he wanted! Cons: So far, no cons! We'll see what he thinks this summer when he actually gets to use it! Pros: This bat is hot right out of the wrapper. Not sure what else to say except I love it more than any of my other bats and very happy to have purchased. This company has great prices and excellent fulfillment. Pros: This bat is extremely hot out of the wrapper. The end load weight is perfect for that little extra bat speed. Cons: The only thing I changed was the grip. Pros: Great bat, lots of pop right out of the package!!! Fast shipping, and cheap prices! Can't beat cheapbats!! Pros: Hot right out of the wrapper, quickly became our team's go-to bat. Hoping this one is more durable than the 2013/2014 Juggy's, but only time will tell. Cons: Handle seems a bit thinner than previous models.. took a little bit to get adjusted. Pros: This bat is awesome. Has a lot of pop and fast through the zone so I have to adjust my swing but when u make contact. The exit speed is awesome. Can't wait to see what it does fully broken in. Pros: Excellent bat at an great price. Endload is not overwhelming as I generally used balanced bats prior to purchasing this bat. Cons: Grip will probably need replaced, but it is usable. Pros: Good weight distribution, good solid pop out of wrapper. I have only hit around 100 balls with it so far. Looking forward to the 200-300 range when that sweet spot really opens up. Cons: grip is terrible, If you get bat I suggest getting new grip immediately. Pros: This bat has a great end load, it needs a little break in but with the weather getting warmer that won't be hard to do. After about 100 swings it is opening up nicely. Cons: The handle is thin but a wrap of tape took care of that. Cons: The factory Demarini grip. Just plan on ordering a Lizard Skin with it. Pros: The Juggy is my favorite bat, and every year they seem To get better. I personally love the "flex" feel and give of the Juggy. I will continue to get the newest model every year! Pros: Bat came hot straight out the wrapper. 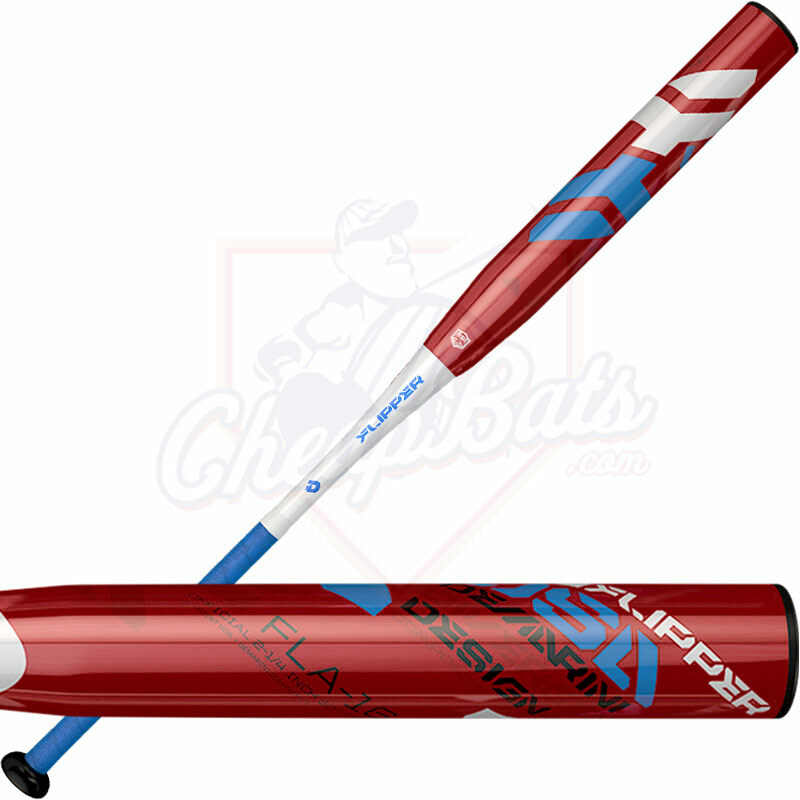 One of the best ASA bat they have to offer out there . Pros: This should be a great bat. Love the way it swings through the zone. Seems like it's got a touch of an end-load. I only have a hand full of swings on it, so the sweet spot was still small but when you found it the ball jumped. I'm guessing it will need 100-200 swings before she's game ready. Love the graphics. Handle and knob size are great. CAn't wait to put some more swings on it. Cons: I don't have too much bad to say about this bat. The only thing that stick out to me is the grip. I've had issues with similar style Demarini grips loosening up after a few hundred swings. I will probably replace it, just in case. Pros: Bat feels great in hands. I am an end load guy and this is by far my favorite to swing. I had an Easton L6.0 last year end load and I think I will be switching to the Demarini for good. Bat is also pretty hot straight out of the wrapper. Overall Bat is a solid purchase for the price of 190. Pros: -Great looking bat, weighted really well, great pop and it is not yet fully broken in, and has contributed to our team hitting quite a bit better than last year. Cons: The grip could be a little better than what it is. You can just get lizard skin to fix that though for fairly inexpensive. Pros: Bought the bat to help a senior with the super soft league balls we play with and suddenly I'm a home run threat. Awesome feel and balance. A must buy. Cons: Didn't buy it sooner. Pros: Cheapbats had the best price and very fast shipping. When the Enzo was pushed back by the Manufacturer, I settled for this one. But will purchase the Enzo when it is produced from Cheapbats. They are the Greatest!!! Pros: The initial break-in period did not take long about 60-75 swings. It sounded tinny during that time, afterwards, the sound changed to solid hits, line drives and solid shots to the out field. it is still opening up after 200 hits. Cons: The handle has more flex than the OVL, but tolerable. it pushes the ball to left center Vs left. Just had to adjust accordingly. Pros: This bat is hot out of the wrapper. It has a good feel to it and the endload isn't too extreme. Pros: I have nothing negative to say about this bat. Feels like the 2013 Juggy to me, and it felt amazing right out of the wrapper. I have what some might consider a typical long lefty swing. Last year I went away from the Juggy because I got a good deal on a different bat. A buddy of mine (also a lefty that swings the Juggy and knows much more about bats than I do), warned me not to do so, because he said my swing wouldn't do well with some of the other bats because of the stiffness. But I went against his advice and soon learned he was right. Home runs took a slight dip, but more than that, hitting the sweet spot just seemed more sporadic. Feels good to be back with the Juggy. This was my first purchase with cheapbats, and would definitely recommend their service! Pros: First swing with the bat was off of the fence. After that it has been solid, but not great. The bat only has about 40 swings on it. We will see what happens after 100 swings. Pros: Bat felt awesome from the get go. Solid hitting bat that is hot with your first at bat. Cons: Grip is a little less than desirable but doesn't affect the swing. Pros: Honestly I can find many cons if any none for that fact. Bat came hot out of the wrapper and still remains hot. Always been a fan of Destiny, usually the flipper but that changed after purchasing the Jug. I'd suggest using lizard skin right away but that's just me. Cons: So first time taking my new bat out it snaps in 2 pieces, okay so the bat was obviously not a good one. After sending multiple emails and repeatedly trying to make contact with the company they sent me one line from the warranty clause on the website and put up a brick wall of communication with me. So I've come to find out where they get their name from it's cheap quality (service and product) not just cheap in price. Cons: bats paint shattered and a large crack running vertical down the bat, appeared after 200 swings, still waiting to hear back from Demarini for a Warranty return. Pros: Everything one would expect from a juggy and more. team mate liked mine so much, he ordered one for himself. Best deal on this bat I've found. worth every cent. Pros: Bat feels just right! Can't wait to start swinging it! Cons: Stock grip seems weak. Pros: Great price, great product! Excited to start putting some swings on it! Cons: The stock grip doesn't seem very durable. Pros: Very hot right out of the wrapper. A must if you're playing ASA - especially in the Arizona 55+ leagues. Thin handle and lightly end-loaded. DeMarini bats always hold up well. Cons: The handle wrap is a little thin and somewhat lumpy .... might need a layer of lizard skin. Cons: The only thing I find wrong with the bat is the grip but besides that it is an amazing bat! Pros: received this bat last week and had to try it out right away so I subbed in for my buddies co-ed league. I was very surprised with how much pop it had right out of the wrapper, since its multi-walled I was expecting a long break in period. The whole team used it one time through and I didn't notice any miss hits, the ball was jumping off the bat with great sound. 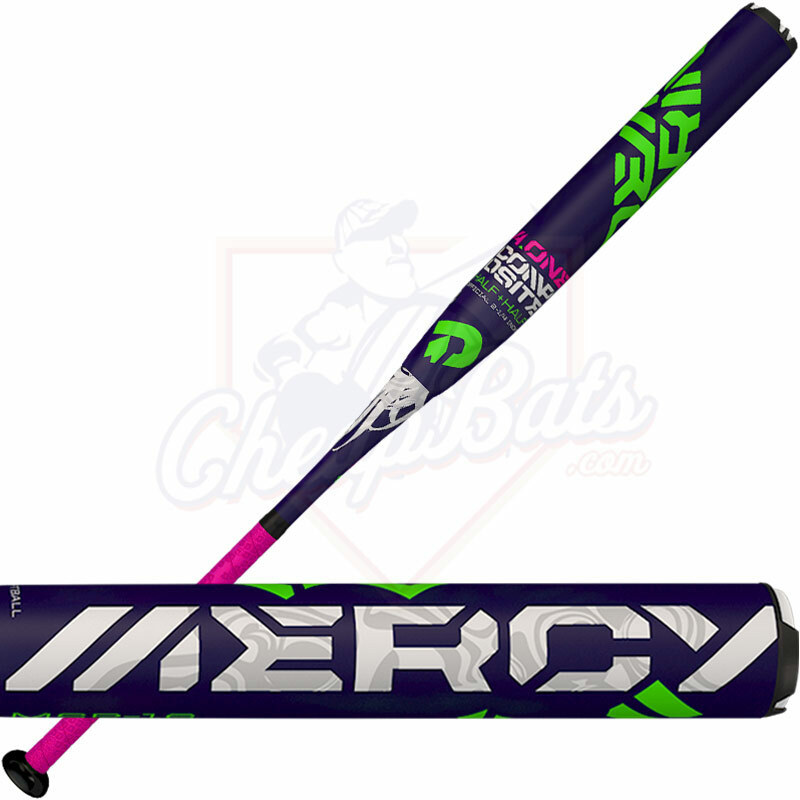 I bought the 28 ounce and it has a slight end load but very easy to control the bat head, the females used it and delivered with sharp ground balls and line drives. Very early on to tell how hot this bat is going to get but I'm excited to see when this thing opens up because out of the wrapper I was very satisfied. Pros: I ordered this bat and in 2 days I received it. Awesome shipping. Besides that this bat is stupid. Stupid being dangerously ðŸ”¥. I unwrapped before my men's league game and went on to hit 2 bombs, a laser triple and a double. Hot Out Of The Wrapper!! I've hit 2 home runs in my softball career so that should tell you enough. The feel of the bat is great and I highly recommend the 26oz. Pros: I normally have swung USSSA Miken end loads. I was told to get a Demarini for ASA and I got the Juggy cause of more flex in the handle than the Flipper. It has been hot out of the wrapper and is more forgiving and I like the flex that it gives. Pros: Love the look of the bat. I searched all over for pricing on this bat and cheapbats.com had the best price. Hot right out of the wrapper, after getting used to the endload after a couple swings I was able to hit one out of the park. Great bat! Pros: Great pop off the bat, smoked a Grand Slam first pitch out of the wrapper. Cons: Can't think of any, love this thing. Pros: Really great out of the package. Love the feel of the grip. Pros: I was a little skeptical about ordering this bat. After hitting with it for a couple days, I cannot wait for this season. This is the best feeling bat I've ever swung with. I'm driving balls way further than I ever have right out of the wrapper. Debating ordering another one. Cons: Grip is a little skinny for my liking, but nothing tape can't fix! Pros: as i like end weighted bats this one is right up my alley,swings real easy and sends the ball where i want it to go. Pros: This bat performs as good as it looks! Took a lot less time to open up than the 2015 juggy! 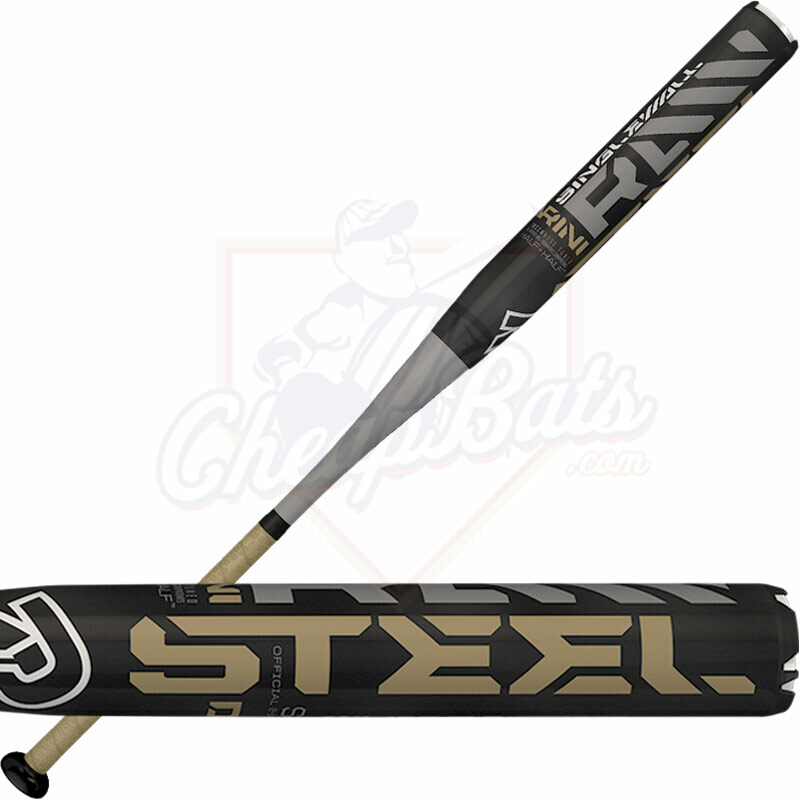 Already making bets as to who will hit more HR this season, and this bat will be my weapon of choice! Cons: The tape! Started peeling after one bp session... other than that I'm digging it! Pros: Hot right out of the wrapper. Love the new glossy paint job. Seemed to be hotter, quicker than my previous silver juggy which took a LONG time to loosen up until it broke. Cons: Can't think of many other than the stock wraps on DeMarini bats fail pretty quickly. I usually replace them with Lizard Skins. I like the Gold handle on this bat but can't find a matching replacement. Pros: Great pop right out of the wrapper. Other team asked up to check our bats because we were bombing them so deep. Pros: Very high quality. Swings well. End loaded but not insanely end loaded. Seems to have a superb feel while swinging through the zone. Nice grip. I like be the know on this bat. Makes my grip for a power swing very comfortable. I haven't yet hit with the bat. It's been to cold outside. But I will post a full review when I do. Cons: There are none at the sale price of which I got this bat. 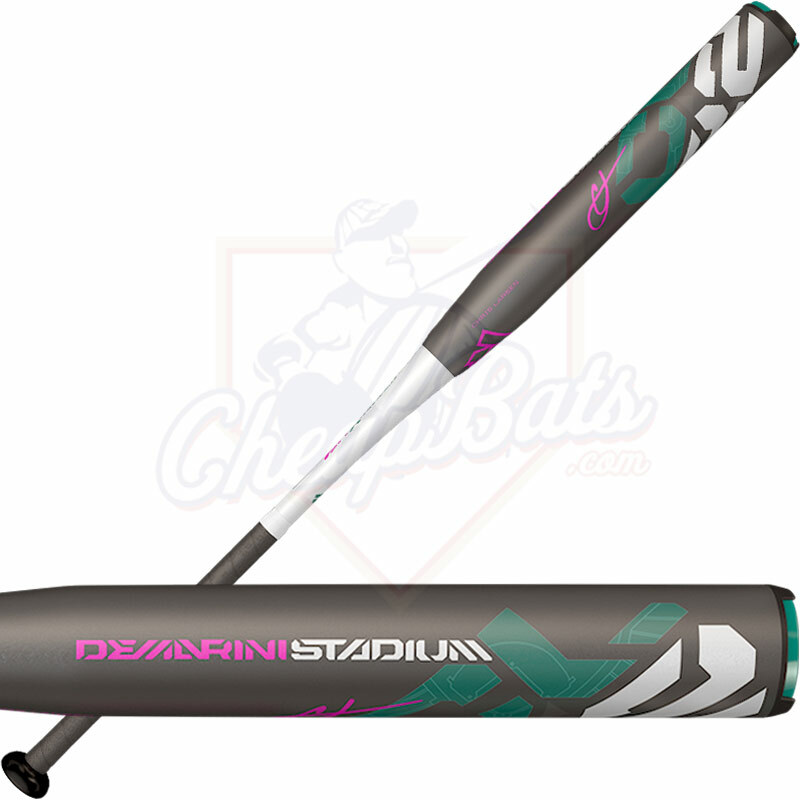 Pros: I love and have always used Demarini bats. After clearing 100 fences last year between two leagues and tournaments last year, I feel like I'm a pretty good judge of what constitutes a home run bat. I'm about one hundred swings into my 27 oz juggy. Out of the wrapper this thing was pretty hot, but I can feel it starting to open up even more. From using the Flipper last year, I can definitely feel the difference with using an end loaded bat and is way better suited for my height and power. Overall I love this bat and the only thing I switched up was to put a thicker wrap on the handle. Pros: Hot bat right out of the plastic! Large sweet spot! Will you get any more 27oz bats? 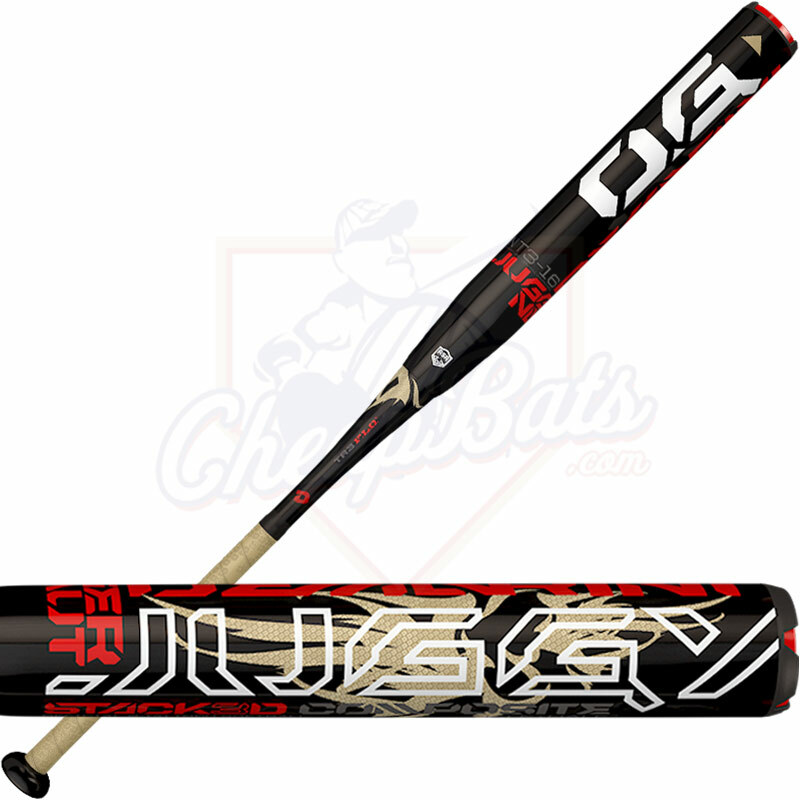 We will not be receiving anymore 27 ounce Juggy OG bats as this bat is no longer manufactured. When we sell out of our remaining 26 ounce bats, we will be out completely. 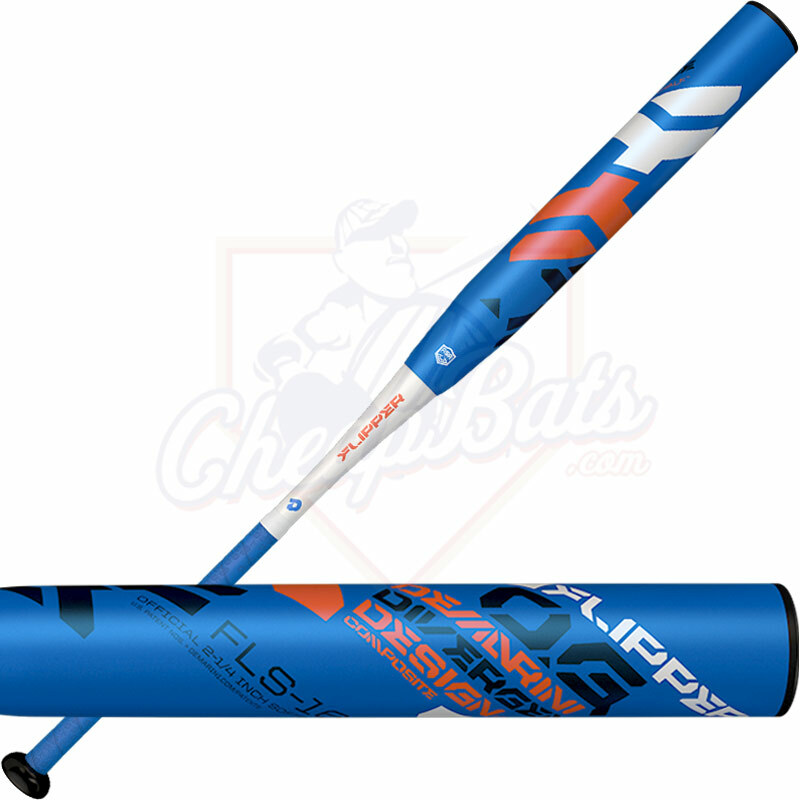 Does this bat compare to DeMarini ASA Flipper OG 17 Slow Pitch Bat? Which one breaks in faster and which one is more pop? The DeMarini Flipper OG and the Juggy OG are very similar bats. The Juggy OG will be a 2 piece full composite bat, while the Flipper OG will have an alloy handle. The Flipper will have a stiffer feel when making contact due to the alloy handle. Both bats will perform the same and have a similar break in period. What is the difference on this model juggy, compared to the 2013 and 2014. Is the 2016 model,as good or better? Thank you for your help. Every year DeMarini makes minor changes / adjustment / improvements to the newly released bats, but for the very most part the Juggy stays pretty similar from year to year. The 2016 Juggy OG has had great reviews, and we've sold a lot of them with issues being very rare. Also, it comes with a one year manufacturer warranty, so those rare issues (outside of normal wear and tear) are taken care of by DeMarini. How does this compare to the 2016 DeMarini Flipper Aftermath (black and green) for ASA? I see you have the Flipper for USSSA, but will you get any more of the ASA ones in, or is this comparable? The difference will be in the handles. The Juggy uses a composite handle while the Flipper uses an alloy handle. Both bats will perform well but differ in that aspect. We will not be receiving anymore of the 2016 models from DeMarini. DeMarini recommends not using their bats below 65 degrees. Is this a legal bat for an Over 60 league ? I believe we are ASA but we may USSSA. If you are an ASA sanctioned league then yes. If not, then NO. We recommend asking your league director before purchasing a bat. Are the Juggys a full 1oz end load? This bat does have a 1 ounce end load. Bought and use a 2015 juggy 26 oz. Are these bats a full 1 oz end load? I've bought a Flipper balanced 28oz and have reverted back to the juggy, I can get the bat through the zone better w less pop ups...Wanting to buy a '16 juggy and am debating on trying the 27oz but don't want to run into the same problems w a heavier weight bat like I tried w the Flipper...Can you shed some light on the pros/cons of my dilemma and the direction one should go? Aaron, It sounds like this is something you will have to work out yourself. Using a 27oz. with an end load will require you to have stronger wrists when hitting compared to the 26oz. We recommend working out your forearms and grip strength to help strengthen your wrists to prevent yourself from popping up. The heavier the bat you have the more distance you will get as a heavier bat will provide more force on your swing. A lighter bat will allow for better bat control. If you have trouble swinging a heavier bat we recommend sticking with the 26oz. If I swing a 27 oz Easton Composite bat that has a 2 oz endload, would the 28 oz Demarini feel the same since it only has a1 oz endload? What would you recommend? We recommend using the 27oz. as the Juggy will still have an end load to it. Can you do any better on the closeout price? The price we have listed will be the best we can offer. Is there much difference, between the 'juggy og' vs the 'juggernaut' other than appearance? The Juggy has only had a few minor changes over the last few years. The knob on the bottom of the bat as well as the end cap and graphics are the only main changes. Why was the 2015 juggy discontinued? The bats are discontinued after each season. When the 2015 season ended, production stopped and the 2016 DeMarini Juggy OG went into production. The Juggy OG is made for the .52/300 balls but can be used with the harder .44 balls. The harder balls will put more wear and tear on the bats though. The 26oz. Juggy will feel a little more top heavy but that is the lightest size it is offered in. What balanced ASA bat would compare to the Juggy OG? The Juggy OG is an end loaded bat so it will have a different feel and weight distribution from any balanced bat. The Juggy OG is a 2 piece composite and will have the composite feel when hitting with it as well as that unique DeMarini pop, sound, and feel of contact. when are you expecting to get more of these bats in? Anytime soon? 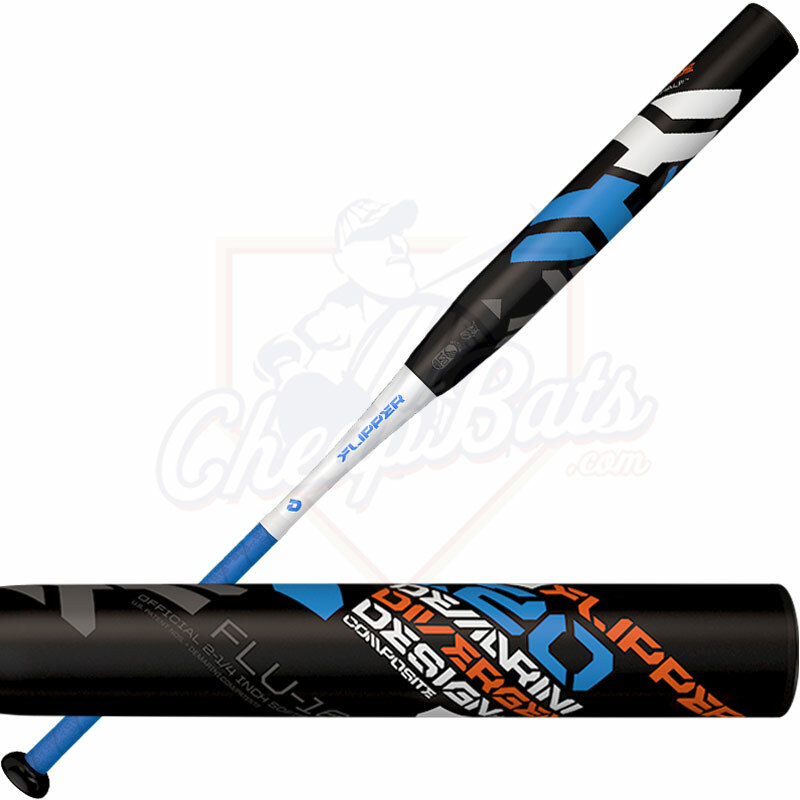 We have these on order with DeMarini but do not have an expected arrival date at this time. We are still waiting on that order from DeMarini and do not have any new updates at this time. We will be getting more of these bats in stock in 1-3 weeks but cannot guarantee the current listed price. Will you guys be getting any more 30oz juggys back in anytime soon? We should be getting more in stock in 2 weeks. We will not be receiving anymore in stock for 2 weeks. Is there much of a difference, other than cosmetically, between the 2015 and '16 models? There is no difference between the 2015 and 2016 model other than graphics. How much is the 2016 Juggy and the 2016 Flipper USA end loaded? And what's the main difference in their end caps? Both bats will have a one ounce end load. Will they make a balanced juggy OG? If so, when? Not a big fan of end load. DeMarini has not informed us of any balanced version at this time. What's the difference between the 16 Juggy and the 16 Flipper USA other than they are both ASA bats? Not sure which to buy. The 2016 DeMarini Juggy OG ASA bat has a composite handle, which gives you some flex when you're swinging through the zone for a true 2-piece feel. The 2016 DeMarini Flipper Aftermath USA ASA bat has an aluminum handle, which is going to give you a stiffer feel. They also have different composite types in the barrel, but that isn't going to be a noticeable difference. It mostly is going to come down to personal preference on whether you like flex (Juggy) or more of a stiffer feel (Flipper USA). They're both great bats.